Relay’s Video Rules section gives you control over your users’ interactions with YouTube. You can block or allow YouTube, set up Smart Play, set YouTube controls, and block or allow specific videos and channels. Navigate to Video Rules by clicking Internet Access > Video Rules in the left-hand navigation menu. 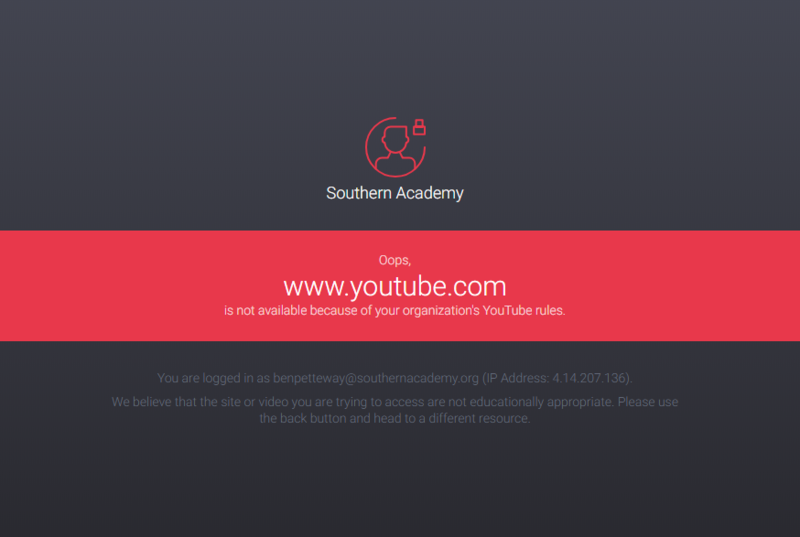 The first step in setting up Video Rules is allowing or blocking YouTube. By default, YouTube is allowed. 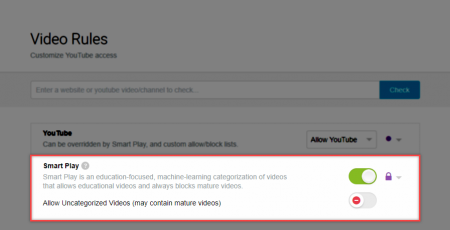 Selecting the Block YouTube option from the drop-down menu will block all YouTube content except for videos or channels in the Custom Allow List. Smart Play is Lightspeed Systems’ machine learning AI database engine that provides an education-focused, machine-learning categorization of videos. Saves time – You don’t need to create and maintain manual lists of acceptable and unacceptable videos. Improves learning – Your users can access educational videos to teach or learn. Maintains safety and acceptable use – Your users can access educational content while distracting and mature content is blocked. – indicates Smart Play is on. – indicates Smart Play is off. Smart Play does not filter Uncategorized videos. You can allow uncategorized videos by clicking the toggle button next to Allow Uncategorized Videos. However, as these videos may contain mature content, we recommend that you leave this option disabled for students. – indicates uncategorized videos are allowed. – indicates uncategorized videos are blocked. 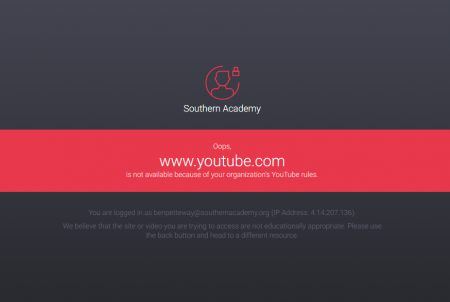 • Do not add youtube.com to your Custom Allow or Custom Block Lists. • Use the full URL for specific videos you want to add to the Custom Allow or Custom Block lists. Do not use youtu.be short URLs. • Disable the option to Allow Uncategorized Videos for students. You may want to enable it for teachers or other users. • Add teacher and district YouTube channels to your Custom Allow List. That way, curated content can easily reach students as videos are added to the channel. Smart Play is more functional and user-friendly than YouTube Restricted Mode. The following table show differences between YouTube’s Restricted Mode and the Smart Play function. Cannot be easily customized. Can be easily customized with local recategorization. Cannot specifically block uncategorized videos. Can specifically block uncategorized videos. No reporting functions. Ability to run reports that directly show YouTube activity. Note: Although Smart Play is the superior solution, you can still opt to use YouTube Restricted Mode instead of Smart Play if you believe that it is a better solution for your specific set up. Make sure to turn YouTube Restricted Mode on and Smart Play off if you chose to do so.